Here is another this one is easier to read i think also A doodle for you. Note I am Composing off of the New kinja pages compose So I hope this goes well. Yeah I had fun with the three pen colors I have available at work. Edit I removed it from the Beta Code tags because word wrap did not work on it. Also I saw no spoiler tag in the beta composer. 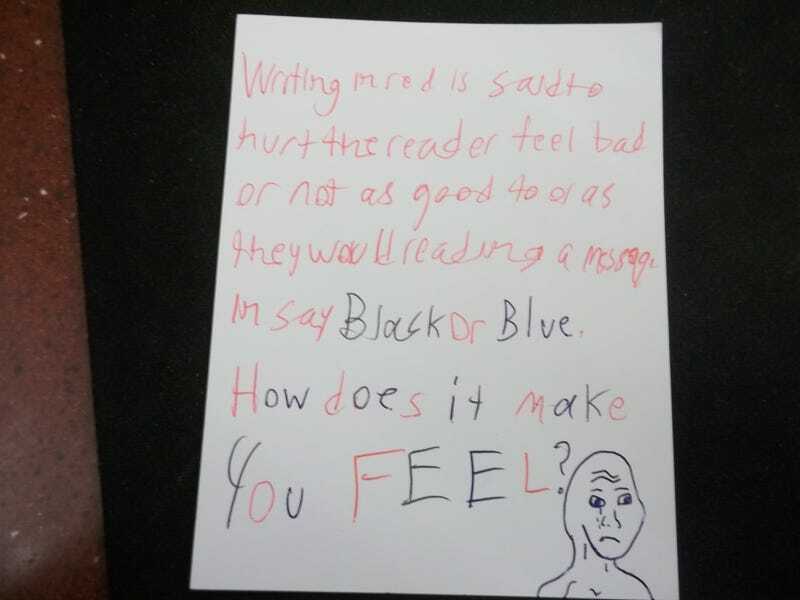 Writing in red is said to hurt the reader feel bad or not as good to or as they would reading a message in say black or Blue. How doe it make you FEEL?